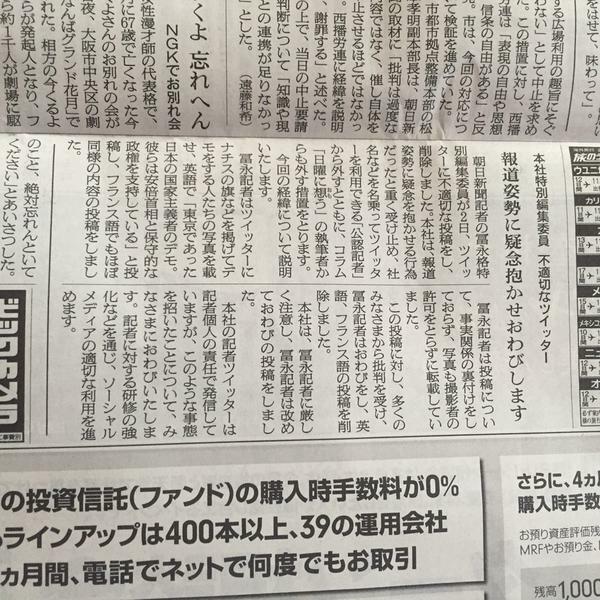 1+8 ：ニライカナイφ ★＠転載は禁止  ：2015/08/05(水) 01:39:32.35 ID:??? Tadashi Tominaga spread a false information for the purpose of increasing the criticism toward Shinzo Abe. 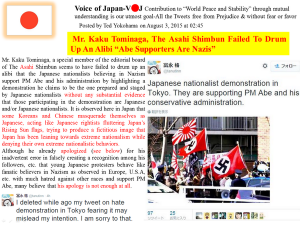 My tweet on 02/08/2015 with a Tokyo demonstration photograph was an error. 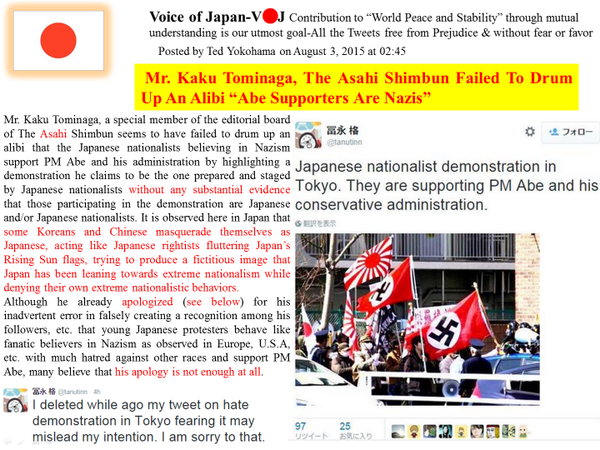 Again I am very sorry for that mistake. 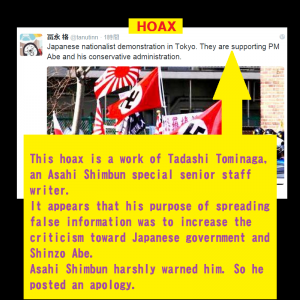 Tadashi Tominaga（Kaku Tominaga),the scaremonger,circulated vicious rumor “Supporters of Shinzo ABE are Nazis”. 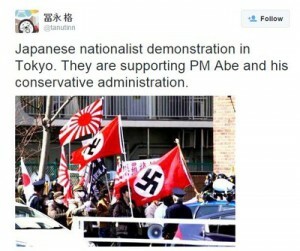 Joe Aramaki,a famous leader of the demonstration in the picture,made a serious protest to Tominaga. “Don’t be silly! We are not supporters of Shinzo ABE.”. S E X S L A V E S ! for centuries, and the practice was certainly still going on in the 1930s and 1940s.